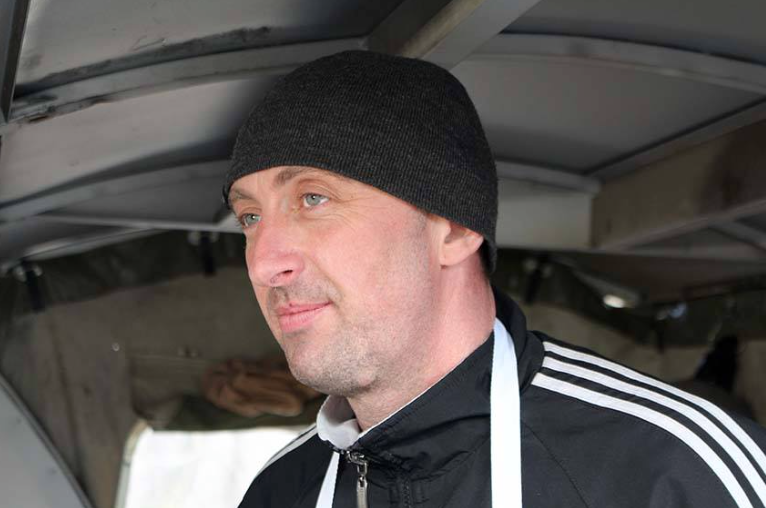 Meet Vasyl, a gourmet chef from a Truskavets resort. Now, this man prepares a variety of feasts, but not for vacationers or tourists. He feeds the wounded [servicemen] and the medical staff of the 66th Mobile Hospital, which is now located near the advanced positions of our troops. This is where ambulances bring our wounded [servicemen] directly from the battlefield. After receiving a draft notice, this successful master of various delicacies has easily exchanged the ambience of a posh restaurant for the harsh conditions of a military field kitchen. He has already grown accustomed to the cannonade. Even here, [Vasyl] attempts to pamper everyone with delicious restaurant meals, with a very limited selection of products. For instance, he baked an absolutely unsurpassed apple pie for the entire personnel [while] testing the oven. – In all truthfulness, I love to cook borshch – says Vasyl. – Our regular, Ukrainian borshch. I cook it using our family recipe. Seeing people eat it with gusto makes me very happy. According to Vasyl, when he received a draft notice, he never considered not joining the army. On the contrary, he immediately responded to the request. He believes that every person, who respects themselves, must become a piece in the wall of the state defense, especially in difficult times. This entry was posted in English, Media, Pictures, South&Eastern Ukraine, War in Donbas and tagged #RussiaInvadedUkraine, #SaveUkraine, #Ukraine MOD, Ukraine, warinDonbas. Bookmark the permalink.